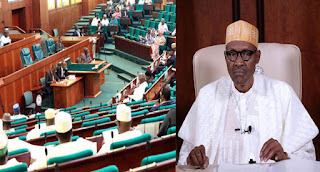 The House of Representatives has summoned President Muhammadu Buhari over the security situation in the country. The House will suspend sitting for three days in solidarity with Nigerians over the killings in the country. This follows the recent killing of 18 people including two priests by suspected herdsmen in Ayar-Mbalom community, Gwer East Local Government Area of Benue State. The armed men reportedly stormed the St. Ignatius’ Catholic Church, during an early morning mass on Tuesday, killing the priests and others members. Angered by these numerous attacks, the President described the killing of worshippers and two priests at the Catholic Church as ‘vile and satanic’. He condoled with the government and people of Mbalom Community in Gwer East Local Government Area where the incident occurred. The President through his spokesman, Femi Adesina, said, “I extend my sincere condolences to the government and people of Benue State, the Mbalom community, and especially the Bishop, priests and members of the St Ignatius’ Catholic Church, whose premises was the unfortunate venue of the heinous killings by gunmen. He has vowed hunt down the assailants and ensure that they pay for the sacrilege committed. However, the lawmakers have asked the President to declare the killer herdsmen terrorists. They are also calling for the sack of the Service Chiefs.